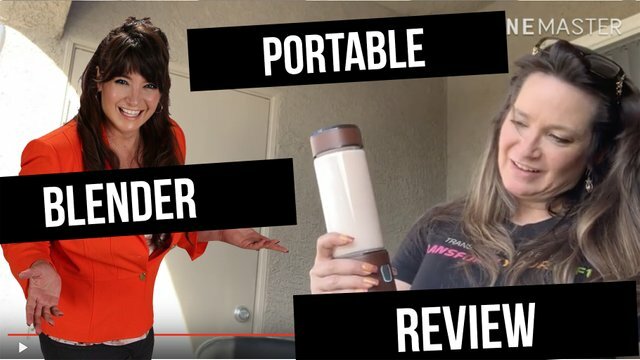 I liked this portable blender, and I'm shocked that no one came out with a USB portable blender before! This blender rocks!! f you travel a lot like I do, and you drink protein drinks, you know how inconvenient a shaker cup can be. It's okay, and it will do in a pinch, but, it just doesn't do my favorite protein drinks justice like blending! This totally solves that, and I'm SO HAPPY! In fact, I'm going to have to purchase my husband one, or he is just going to keep borrowing mine! This blends easy, it's quiet, it's quick, and it's convenient. It washes easily, and travels well. I am very happy I got this! And now, my protein drinks taste even better with that awesome blending action that just makes it better. As always, get $5.00 when you activate your FREE Mene account! !